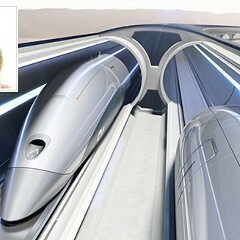 Model of an “electric sled”; Elon Musk has said such sleds could shuttle passengers at 125 mph through a tube to the airport. 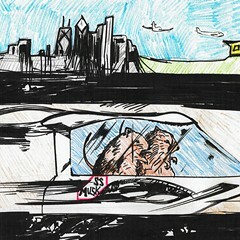 Mayor Rahm Emanuel's scheme to create expensive express rail service to O'Hare has always been a dubious proposition. Involving tech mogul Elon Musk—of Tesla electric car and SpaceX rocket fame—and his fantasy of digging a new tunnel to the airport for high-speed "electric sled" travel, as the Emanuel administration recently expressed interest in doing, would almost certainly make the project worse. Establishing an O'Hare express train has long been a bee in the bonnet of Emanuel and his predecessor Richard M. Daley, who squandered about $250 million building a "superstation," which now sits abandoned under the Loop's Block 37, to accommodate the planned service. 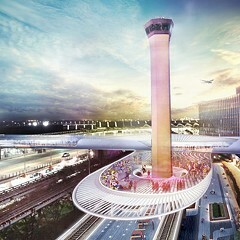 In 2015 Emanuel and his aviation commissioner, Ginger Evans, announced that building the nonstop rail route is a top priority, arguing that it would ease congestion on the Kennedy, create jobs, and generate tax revenue. Evans has projected that an O'Hare express trip would likely take about 20 or 25 minutes, compared to the current 40 to 45 minutes on the Blue Line (which could be shortened by up to five minutes by the CTA's in-progress "Your New Blue" renovation project). She estimated that the premium tickets will cost between $25 to $35—many times more than the current $2.25 el fare to the airport and $5 return ticket. Last year the city awarded a $2 million contract to the engineering firm Parsons Brinckerhoff to nail down potential routes, station locations, and a cost estimate. A 2006 CTA business plan estimated the price tag at $1.5 billion. The Emanuel administration has said its goal is to avoid spending public money on the project, which would almost exclusively serve affluent people and business travelers, but it hasn't ruled out the possibility. The Active Transportation Alliance says it won't support the project unless there's a guarantee that no taxpayer money will be used, and argues that the city should instead be focusing on improving transit access in Chicago's neighborhoods. Talk of the O'Hare express took a turn for the weird late last month with news that Musk may get involved. Greg Hinz of Crain's reported that Emanuel's staff is in talks with the 46-year-old entrepreneur about using his much-ballyhooed but largely hypothetical proprietary tunneling technology to dig a route from the Loop to the airport. Musk, who's donated $55,300 to Emanuel's election campaigns, claims that the new tube would accommodate miniature shuttles that could zoom across the northwest side at 125 mph. After catching wind of the O'Hare project, the tech magnate offered the services of his new excavation business with the winking name the Boring Company. He claims his technology will speed up the digging process 14 fold as compared to conventional methods and cut costs by up to 90 percent. This new system, Musk says, could pave the way for using another of his still-theoretical technologies, the "Hyperloop," a scheme to use vacuum-sealed tunnels to propel vehicles at more than 600 mph. Last month Chicago deputy mayor Steve Koch traveled to Los Angeles to discuss the O'Hare tunnel idea with Musk, and it sounds like the administration is taking this laughable idea seriously. Moreover, it's a potentially wasteful distraction from real solutions to our city's transportation challenges—namely better el and bus service. Musk seems to have started the Boring Company on a whim less than eight months ago. (He first tweeted out his idea of digging tunnels to bypass congestion in December 2016 while stuck in a Los Angeles traffic jam.) He's since boasted that he will dig a passageway from LAX airport to Santa Monica that will shorten the trip to five minutes via electric sled. But so far all Musk has done is to begin digging a 50-foot-long testing trench at SpaceX's headquarters in Hawthorne, California, south of LA. Meanwhile there's no evidence whatsoever that he'll be able to magically decimate the cost and duration of urban excavation. Recent municipal highway tunneling projects in Boston and Seattle devolved into massively expensive and time-consuming boondoggles, which should make Chicago think twice before enlisting Musk to dig a much longer route to O'Hare. And as Streetsblog USA's Angie Schmitt recently pointed out, while there are no real­world examples of the purported Hyperloop vacuum-tube technology, Musk's pipe dream is already threatening to divert public resources. His $130 million Hyperloop One start-up has built a 1,640-foot test track in the desert outside of Las Vegas, but the company apparently doesn't yet have a vehicle to shoot through it, let alone one that's safe for human cargo. That hasn't stopped numerous government agencies and organizations from lining up to promote Musk's vacuum-tube fantasy. Hyperloop One says it can build a tube from Columbus, Ohio, to Chicago that will shorten the trip to 29 minutes, and the regional planning commission there has submitted an application promising to dedicate staff time to the corridor's planning as well as to help raise private capital for the project. While many groundbreaking transportation ideas, from rail travel to aviation, were first dismissed as crazy, taxpayer dollars shouldn't be spent to pursue what's still at this point one overconfident entrepreneur's fever dream. Similarly, it's a waste of resources for the Emanuel administration to devote staff time to Musk's O'Hare tunnel proposal. After all, his claims of a superfast, supercheap tunneling method and Jetsons-esque electric sled propulsion are still mostly speculative. In addition to curbing their enthusiasm for Musk's illusory notions, Chicago officials should reconsider the airport express plan. The Blue Line is already a practical, if unsexy, way to get to O'Hare that could be made even better through further investment. A new CTA study notes that the Blue Line's frequency and crowding issues could be addressed by expanding the line's Forest Park rail yard so that there are more trains to work with, as well as adding higher-capacity articulated rail cars. The trip to O'Hare for air travelers could also be improved via simple changes such as better wayfinding signs and installing luggage racks in the cars. 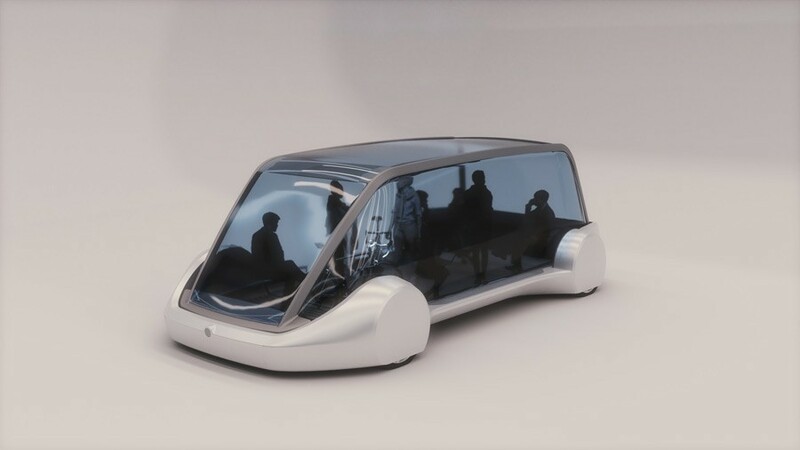 Cleveland just inked a $1.2M deal to study vacuum-tube transportation to Chicago, but critics say the idea is just a pipe dream.